The Musée Bourdelle is an art museum located at 18, rue Antoine Bourdelle, in the 15th arrondissement of Paris, France. It is open daily, except Mondays. The nearest Paris Métro stations are Falguière and Montparnasse – Bienvenüe. The museum preserves the studio of sculptor Antoine Bourdelle (1861–1929), and provides an example of Parisian ateliers from the late 19th and early 20th centuries. It was Bourdelle's active studio from 1885-1929. In 1922 he began plans to turn his studio into a museum; in the early 1930s Gabriel Cognacq provided funds to purchase the studio and thus avoid dispersing the artist's remaining works. The museum was inaugurated in 1949, and expanded in 1961 by architect Henri Gautruche and again in 1992 by Christian de Portzamparc. Today the museum contains more than 500 works including marble, plaster, and bronze statues, paintings, pastels, fresco sketches, and Bourdelle's personal collection of works by artists including Eugène Carrière, Eugène Delacroix, Jean Auguste Dominique Ingres, Adolphe Joseph Thomas Monticelli, Pierre Puvis de Chavannes, and Auguste Rodin. It contains the original plaster casts of some of his finest works including 21 studies of Ludwig van Beethoven, as well as document archives and his copies of Greek and medieval works. Since June 2012, museum's visitors follow a different path through the permanent collections: educational, chronological and attuned to the work, highlighting Bourdelle’s artistic evolution. Bourdelle Museum is one of the 14 City of Paris' Museums that have been incorporated since January 1st 2013 in the public institution Paris Musées. 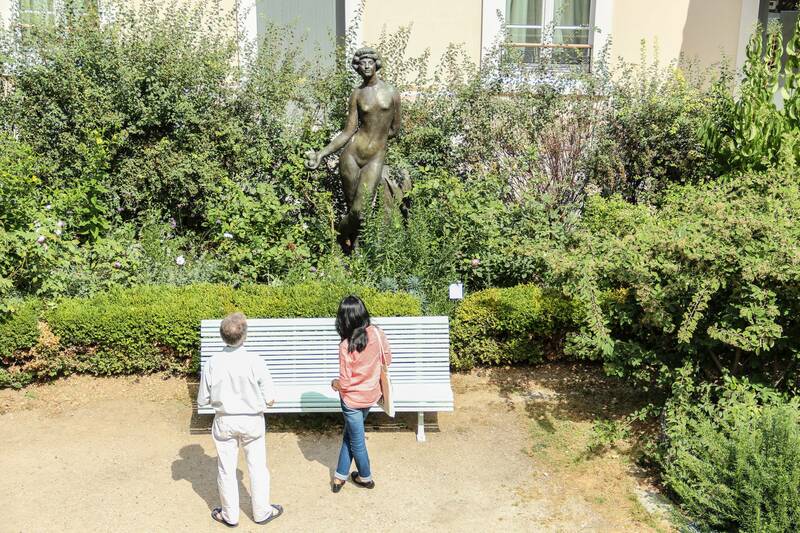 A second Bourdelle garden-museum, in Égreville, was established by his heirs in the late 1960s. It hosts another 56 of his sculptures. Musée Bourdelle | eTips Inc.